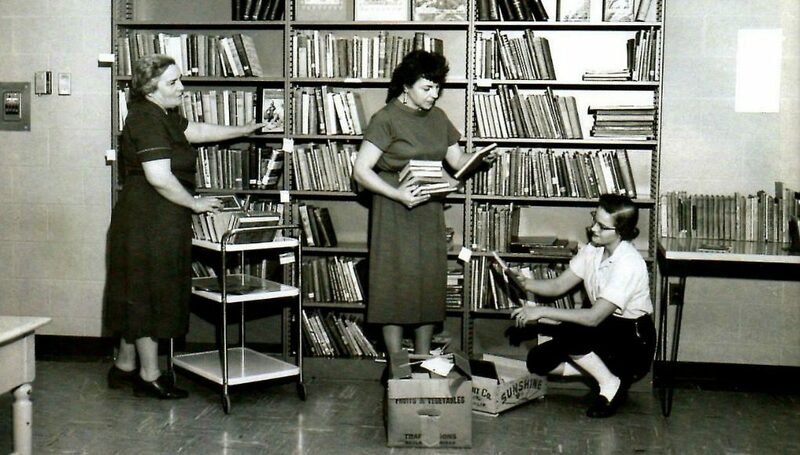 Pictured left to right, Clarissa Boursaw, Virginia Hubbell and Deni Hooper stocking shelves at Peninsula Community Library, circa 1957. Peninsula Community Library (PCL) has been a part of my life as far back as I can remember. As a wee lass starting school at Old Mission Peninsula School (OMPS) in the 1960s, my mom, Mary Johnson, volunteered at the library. 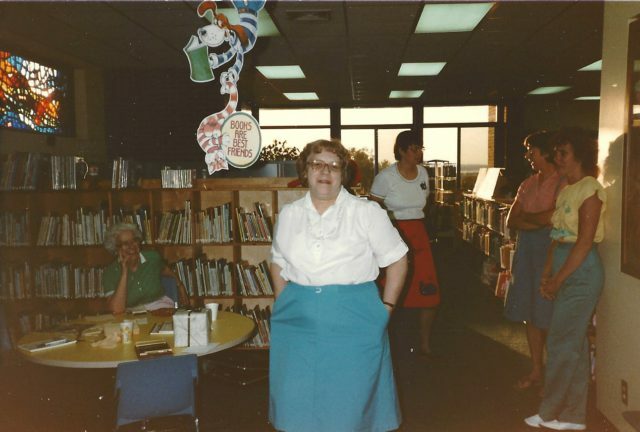 That meant that on certain days in Mrs. DeWitt’s kindergarten class, all of us munchkins would walk down the hall to the library, and I’d see my mom working behind the desk, answering questions, and helping kids check out books. Marge Arney – who will always be “Mrs. Arney” to me – was the library director at the time, and I have a vivid memory of her bustling around the library office, working among the stacks and talking with the kids. 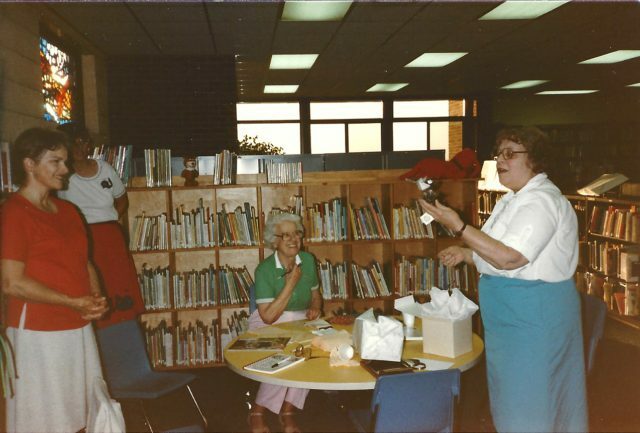 Both Mom and Mrs. Arney were always smiling, which led me to believe that the library must have been a fun place for grownups to hang out back then. Mom volunteered at the library all the way through my school years, and it’s clear that she didn’t work at the library just to be near me and my three siblings, Dean, Ward and Carol. She really LOVED working at the library. She loved books and loved working with other people who loved books. In fact, when I cleaned Mom’s house out last fall after she moved to Orchard Creek in Traverse City, her love of literature was clear by the massive amounts of books I stacked into boxes, moved to my own house, and will donate to the library’s book sale this summer. Well, I’ll donate some of them. I’m keeping the tattered copies of Mom’s favorite books, written by Janice Holt Giles, Lilian Jackson Braun and others. That sort of devotion to books and libraries has far-reaching effects. Mom nurtured a love of books in me that no doubt led to my career as a journalist and, eventually, the launch of Old Mission Gazette. My siblings and their kids love books, including my niece, Heatherlyn Johnson Reamer, who’s now the president of the Library Board. As a kid, I remember excitedly looking at the Scholastic Book Club newsletter, circling the books I wanted to order, waiting impatiently, and finally receiving them in my classroom at OMPS. I still have many of those books – dear friends, in my mind – and can’t imagine ever parting with them. A Room For Cathy, Snowbound in Hidden Valley, Junket, Henry Huggins and so many more. After I graduated from high school, mom continued volunteering at the library, and eventually served as a trustee on the Library Board, including representing our library with the Traverse Area District Library (TADL) and attending meetings with then-TADL director Mike McGuire. One of Mom’s dreams was to see PCL move out of OMPS and into its own building. To that end, she was one of the visionary library trustees who in 1990 facilitated the library’s purchase of 5.25 acres on the corner of Center Road and Island View Road. Carol Zaremba, Ann Swaney, Wendy Houlihan, Bud Quick, Christine Kurtz and Linda Ligon were other trustees who shared that dream. Here’s a short video I did with Mom at Orchard Creek a couple of weeks ago. Wanda Crampton, library director at the time, and her husband Norm were also avid supporters of a freestanding library on that land. Sadly, we lost Wanda and Norm earlier this year, but my mom is still with us. Although her memory is fading, I can still hear her telling me through the years, “I want them to build a library on that property before I die!” Well, now is our chance, and Mom will be 93 in December, so we’d better get cracking. The current PCL Board of Trustees has engaged Cornwell Architects of Traverse City to design a building that fits beautifully into the rural landscape of Old Mission Peninsula. At the “Books at the Boathouse” fundraising event on March 14, they unveiled the architectural plans for the new library, and it’s everything I know Mom would love. See photos of the new plans here. 1. The library needs room to grow. When PCL opened on the stage in the OMPS gym in 1957, no one could have imagined that by 2015, 58 years later, the population of Peninsula Township would grow by 177 percent. 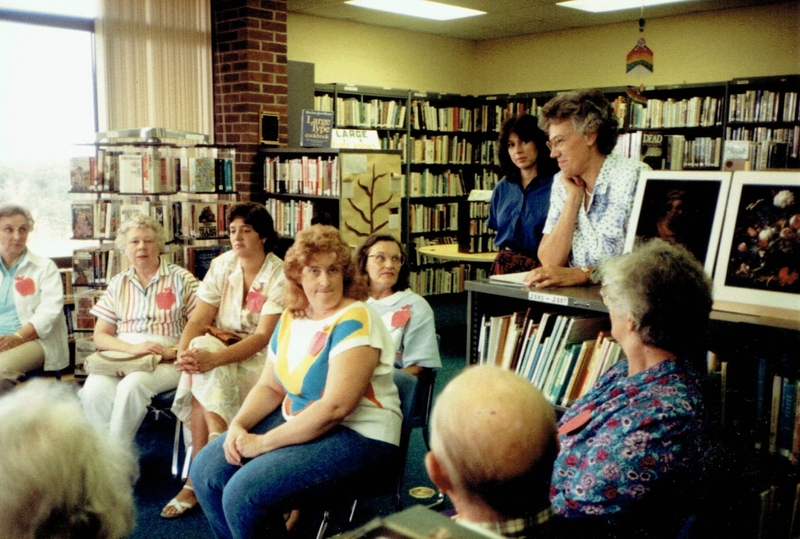 The library eventually moved its collection into the space designated for the school library, and thus began the collaboration to provide library services to residents of all ages, including OMPS students. Additional space was added in 2008, but it quickly became clear that it was not sufficient for both daytime programming for the public and use by kids at the school. Library usage has continued to increase every year, while the space available to the library has not. In short, the Old Mission Peninsula community needs a bigger library. 2. A school and public library are at opposite ends of the spectrum. A school must question everyone who walks through its doors, especially in today’s world. In contrast, a public library, by law and definition, must allow free entry to all who wish to access its services. Unlike other public libraries, PCL has always struggled to exist within another institution’s confines, programs and regulations. On its own land, as its own landlord, the library can serve all segments of the public, both young and old. 3. The library isn’t just about books. As Library Director Vicki Shurly points out, “Libraries are a vital and valued part of any community, and libraries in America have reinvented themselves. They are less about what they have for people and more about what they do for people.” In a bigger space, the possibilities for the library are endless. The new library, with a farmhouse style look, will include a local history room, a community room for expanded programming, smaller conference rooms for use by patrons, an expanded collection area, a public computing area, a cozy seating space with a fireplace, a play space for kids with room for more story hours, and space to offer library programming for Old Mission Peninsula’s older patrons. 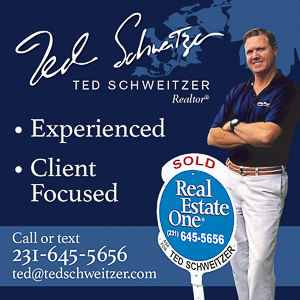 That in itself is truly important when you consider that the average age of Peninsula Township residents is nearly 57. 4. “Building the Heart of the Community” is important. I love this “official slogan” for the next chapter of the library’s history, because it really reflects the vision I know Mom has had for the library all these years. 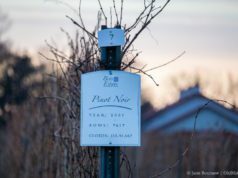 Whether its cherry trees or grapevines, the Old Mission Peninsula is still a farming community above all, and the new library will include an outdoor area that reflects our agricultural heritage. I’ve long believed that we should have our own farmer’s market on the Peninsula. (I, for one, can never seem to make it into the Traverse City Farm Market on summer mornings.) Perhaps an OMP Farmer’s Market could be coordinated on the new library’s grounds, along with other community programs. 5. The time is right. 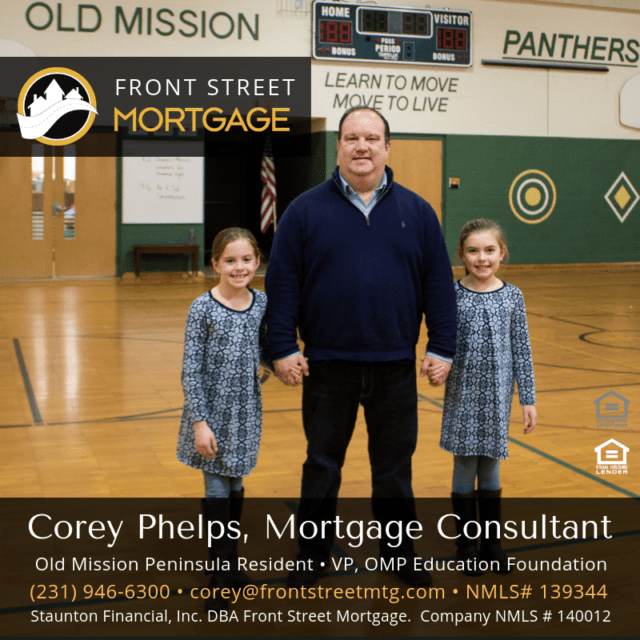 With the purchase of OMPS by the OMP Education Foundation (which is currently discussing opening a charter school in Fall 2018; read more about that here), the time seems right for the library to move into the future, as well. The new library will be 100 percent financed by individual and corporate donations and grants, and the new structure will operate under current fund sources, nearly 80 percent of which come through a contract with TADL, guaranteeing funding into the future. Other current operating funds come from state aid, court awarded fines on traffic violations, and donations. 6. Momentum is growing. 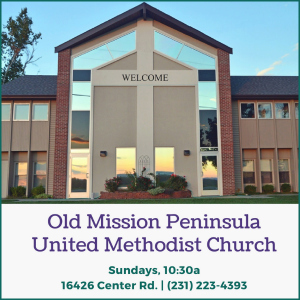 As editor of Old Mission Gazette and part of a farming family whose history goes back six generations on the OMP, I fully endorse the building of a new Peninsula Community Library, and I’m not the only one. Other folks who endorse the idea include Casey and Dana Cowell, Lieth and Gloria Butler, Brenda and Mike Meindertsma (Mike is president of the Traverse City Rotary Club), Jordan Valdmanis (owner of Old Mission Landscapes), Dr. Chuck and Alyson Kass, Michael Richmond, Tim and Shawn Smith, Nancy and Bill Davy, Christine Kurtz, Vicki and Bob Shurly, Tim Carroll, Ann Swaney, Jerry and Gail Dennis, The Traverse Area District Library (including director Gail Parsons), author Doug Stanton, Al Jordan, Fred and Anne Zwemer, OMP farmers Dean and Laura Johnson, Paula Kelley, Howard and Mary Ellen Byrne, Donna and Lee Hornberger, Nikki and Steve Sobkowski, Heatherlyn and Cory Reamer, and many more. 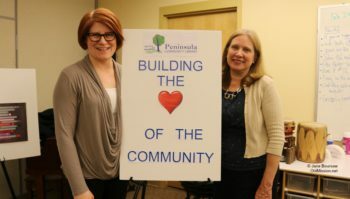 Contributions to PCL’s Building Fund may be made payable to Peninsula Community Library / Building Fund. 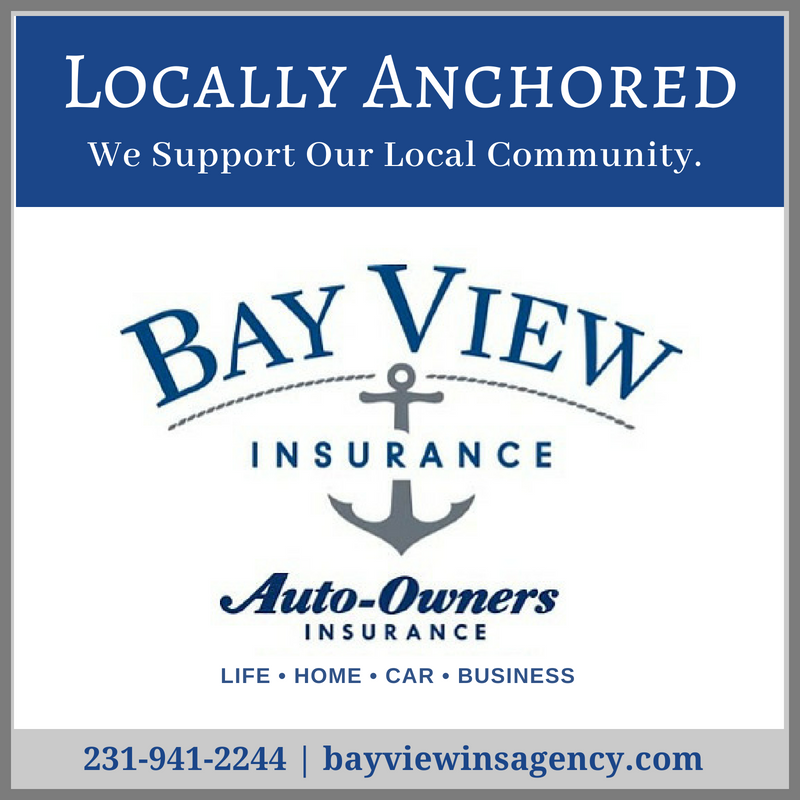 Donations may be made in person at the library or mailed to Peninsula Community Library, 2699 Island View Road, Traverse City, MI 49686. Stay tuned for an online payment option, coming soon. 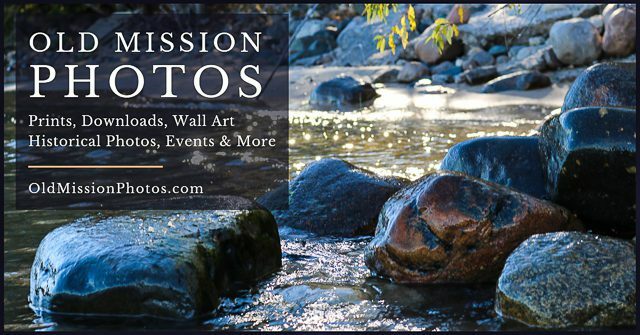 For more info, visit Peninsula Community Library’s website or call (231) 223-7700. Wonderful article, Jane! I loved all the history you put in it, your Mom’s interview, and your updates on what’s coming next. Thanks! Thanks, Jim! It’s always fun reminiscing about my school years at OMPS, and of course, any time I get to interview Mom is always a blast.